We will look at various leathers, their suitability for different projects and at the fittings and fastenings which can be used. Instruction and demonstrations will be given in the correct, safe use of leatherwork hand tools. 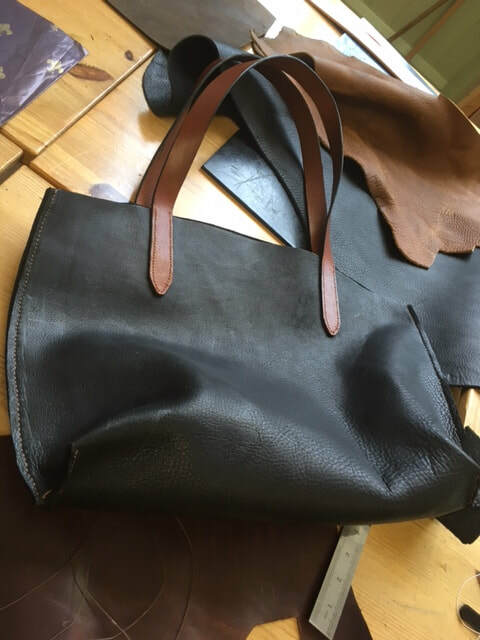 You will be able to use the techniques learned during the course to continue making simple leather items at home. This course is aimed at beginners, but is also suitable for those returning to leatherwork. You will practice the above skills on pieces of scrap leather before starting your project. Materials are not included in your course fee. All materials will be provided by the tutor. The approximate cost of these will be £50 - £60, payable to the tutor during the course. There will a charge of £5 for the use of consumables and maintenance of specialist tools. An assortment of buckles and fixings will be available, and will be individually priced. If you would like to request particular materials or fittings please let the tutor know as soon as possible after booking, via the school. She will do her best to provide them.